Investors took this in good faith, and went ahead with the project. Another developer who had worked with Kevin Stillmock also suggested to me that he had been subject to just such a scam, and had apparently gone somewhat further in investigating the matter of the signature forge stamp than had been the case with our own developer. There is no question that these signatures were forged, be it by stamp or other process. As such, a great deal of money was obtained by Kevin Stillmock by fraudulent means. It isn't yet clear whether this was designed as a scam from the start, or that is was the result of a keen property broker who got out of his depth. However, in either event, money was obtained by deception, ie. this was a fraud. Investors are still owed the better part of a little short of a million US dollars by Stillmock, who has not, to date, demonstrated any intention of returning it. Cold Mountain Resort Issues is my latest blog project, non gambling-related and born out of unfortunate necessity. In early 2006, a bunch of investors, myself included, were presented with the opportunity to invest in a Romanian luxury hotel complex called the Cold Mountain Resort, on what looked like highly advantageous terms. The project appeared to quickly come apart at the seams with endless delays and lack of communication, and the investors were ultimately left looking to recover their initial outlay as per an agreement with their agent and the company holding the funds, the total of which amounts to approximately £650,000 GBP, or around $1,100,000 USD. Although this initially appeared a straightforward matter, none of the approximately ninety Cold Mountain investors with whom I've been in contact have had been refunded, and the business holding the funds, Global Wealth Managers, run by one Kevin Stillmock, has gone into aggressive non-communication mode, with occasional appearances threatening legal action but otherwise complete silence. The matter now looks like being resolved in the US courts. The currently one and only topic on the board is the Cold Mountain Resort discussion. Speaking as a gambler to fellow gamblers: if you are contemplating investing in Romanian property market, or any other high-risk venture, in the current economic climate, think hard. Having thought hard, think a bit harder. Having thought a bit harder, you are probably still best advised keeping the money you put aside for a rainy day where you put it, as it's going to rain a lot harder before things get better, in the Romanian real estate business or elsewhere. The Cold Mountain situation has not moved on much in practical terms in the three months since I posted this topic. 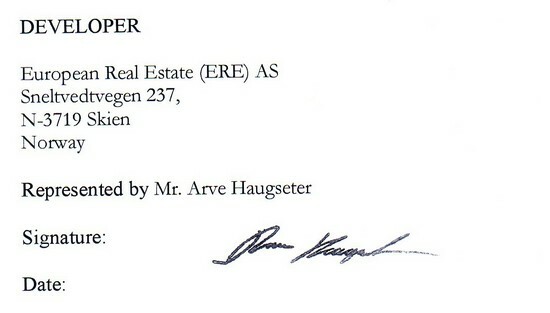 Statements have been issued, in various formats, by all parties involved - The Norwegian developer North Capital, the agent Arc Property and the "guardian" of the investors' deposits Global Wealth Managers. Serious issues of impropriety have been alluded to, and there have been allegations and counter-allegations. None of the above appears to have moved the investors much closer to being reunited with their deposits. I will need proof of investment, or verification of your genuine status as a Cold Mountain Resort investor from the agent, Arc Property. Kevin Stillmock of Global Wealth Managers remains, oddly enough, in contact with investors. The approximate $1,500,000 that Stillmock and GWM received in the form of investor "reservation fees" for units in the Cold Mountain Resort remains unreturned, and investors continue to pursue their legal options against all parties involved in this property scam. Romania Report is another of Kevin Stillmock's web projects, focussing on the Romanian property market. Take a trip halfway down the page and you'll find a link to the Wild Foxes Ranch Club Resort, inevitably another hotel / apartment complex described as "the opportunity of a lifetime". Wild Foxes was offered to the Cold Mountain Resort investors as an alternative to receiving a refund of their Cold Mountain reservation fees - fees which have still not been refunded to any of the investors with whom I'm in contact (and I'm in contact with most of them). The one investor I'm aware of who accepted the offer of transferring his Cold Mountain Resort rights to Wild Foxes has, to date, received no legal paperwork pertaining to his new entitlement. He has received many assurances as to the future promise of the investment, but having been on the receiving end myself of many such unfulfilled assurances from Kevin Stillmock, I tend to regard all such claims as fantasy. I can find no independent corroboration that the "Wild Foxes resort" has planning permission, a build date or is in fact anything other than a web page designer's fantasy. I hope that Wild Foxes will not end up costing investors the better part of the USD $1,500,000 that the Cold Mountain Resort investors ended up losing. Carpatia Resorts is a blog set up for issues regarding the Carpatia Resorts development in Romania. It was brought to my attention by a poster on a blog discussing a sister project to the Cold Mountain development that the above article relates to, and some of the people behind Carpatia are also behind the other project. Here is the link for the latest legal situation regarding the Carpatia Resort project. Kevin Stillmock has a new project - see the Count's Challenge article for more details. The site I linked to above, "Romania Report", is now gone, along with any reference to the Wild Foxes apartment complex that was offered to investors as an "alternative" to the Cold Mountain project. Along with much else in this matter, Wild Foxes appears to have been another fraud attempt. Although all original content is now gone, you can view here the original Wild Foxes marketing document.